The sound of ocean waves, the serene view of leaves dancing in the wind, the refreshing feeling of dipping your feet into a pool – these are just a few experiences that have universal appeal. Being amongst nature has an uncanny way of soothing us and making us feel at peace. This inherent connection that human beings have with nature and green spaces is called biophilia. 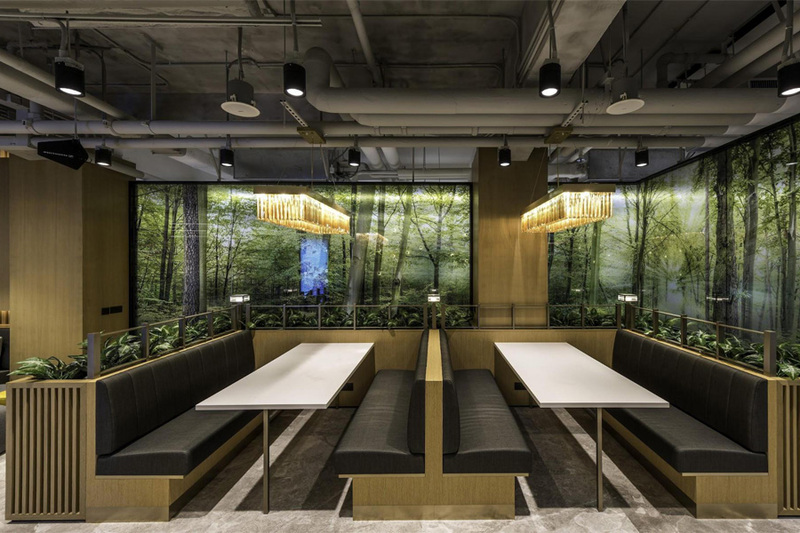 Biophilic design conceptualises spaces in a way that acknowledges the human need to connect with nature. It weaves in natural elements into everyday spaces, triggering positive biological responses. Of all the time spent indoors, work occupies much of the day for most people – and with meetings, deadlines and targets, the atmosphere can get extremely stressful. Being surrounded by biophilic elements can reduce stress, lower blood pressure and steady the heart rate. They prove extremely helpful in navigating the pressures of work life while maintaining one’s health and mental well-being. This has tangible results on an employee’s performance and day-to-day functioning. People enjoy improved concentration, attentiveness and cognitive functions, thereby being more productive and offering better creative output. Employees are able to derive a higher level of satisfaction from their job, which in the long run, helps companies retain talent. A happier, healthier workforce results in lower rates of absenteeism, too. Here are seven ways to include biophilic elements in workplaces. Visual elements of nature help reduce stress and fatigue. In fact, mere exposure to the colour green has a positive impact on creative performance. This is certainly not hard to imagine – just think of working in a bland cubicle, as opposed to working in an earthy space resplendent with flowers and potted plants. An extremely popular office design trend, green walls are a great way to embrace biophilia. 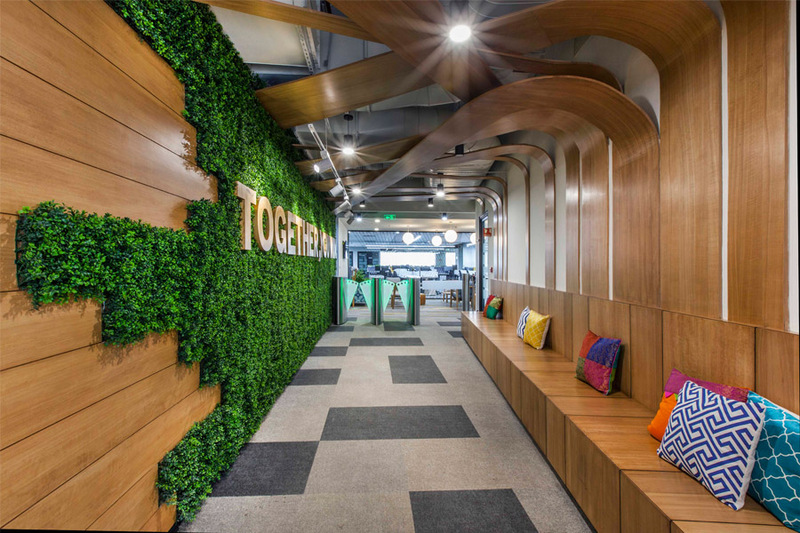 We recently helped CSG International install a luxurious moss wall in their new workspace in Bangalore. Located at the reception area, it imparts a cool, welcoming atmosphere that stays with you even as you go deeper into the office. 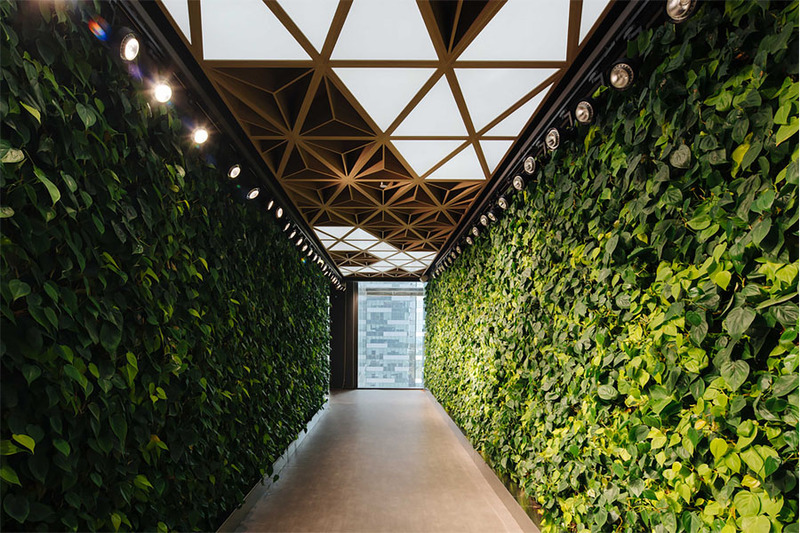 While green walls require a bit of planning and maintenance, there are simpler ways of introducing visual biophilic elements. Ferns and potted plants at every corner, terrariums on individual desks, and koi pond installations in the common areas are all great ways to bring a bit of nature indoors. Even artwork depicting natural landscapes have a more relaxing effect than abstract prints or city scenes. 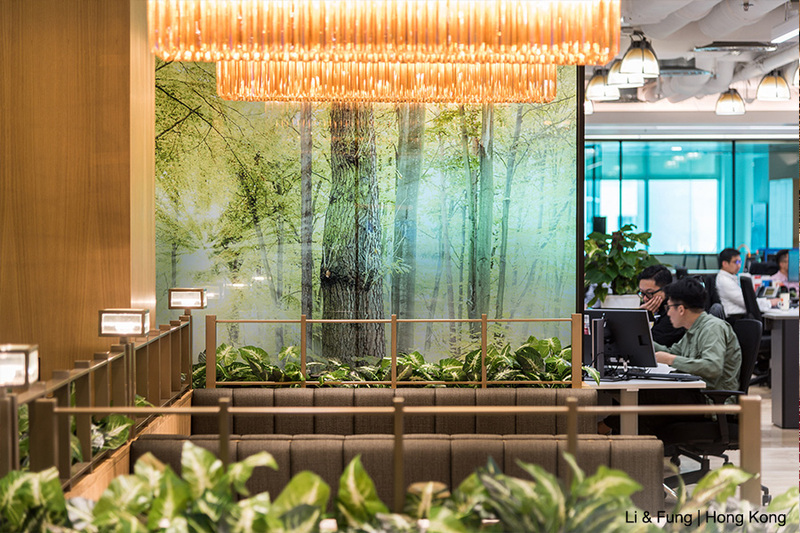 The award-winning office design of Prudential’s WorkPLAYce incorporates natural auditory elements for a very soothing effect. 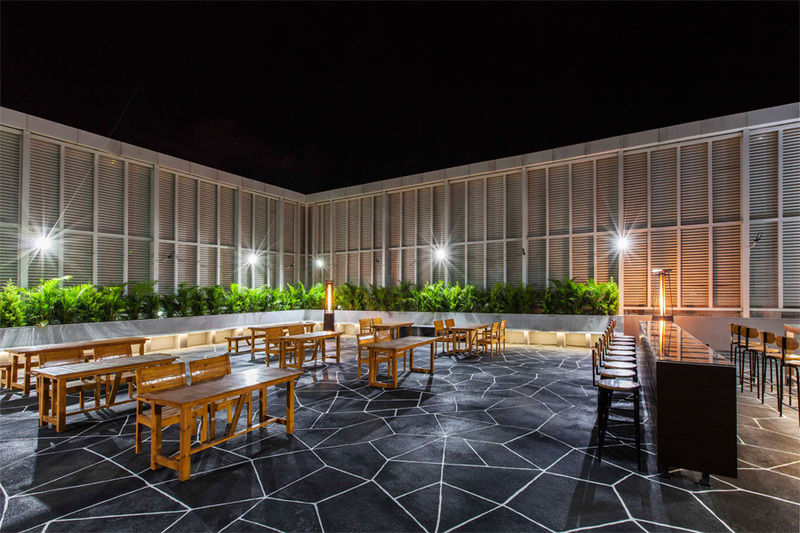 The linkway on the first floor forms a corridor of thick foliage and is equipped with motion sensors that trigger the sound of chirping birds as one walks across. The passage on the second floor features cascading water installations on the walls, which simulates the soothing noise of a waterfall. Being surrounded by nature subjects one to fragrances that are extremely healing and incredibly memorable. It takes no effort to remember the smell of soil in the rain, fresh cut grass or a bunch of roses. Given that scents trigger powerful memories in the human brain, using natural fragrances in the workplace can induce the feeling of being outdoors. Fresh flowers, plant oils and fruit essences can easily be diffused throughout an office space to have energising or calming effects. Having natural ventilation and adequate breezeways is another great way to ensure that employees can enjoy the smell of rain. 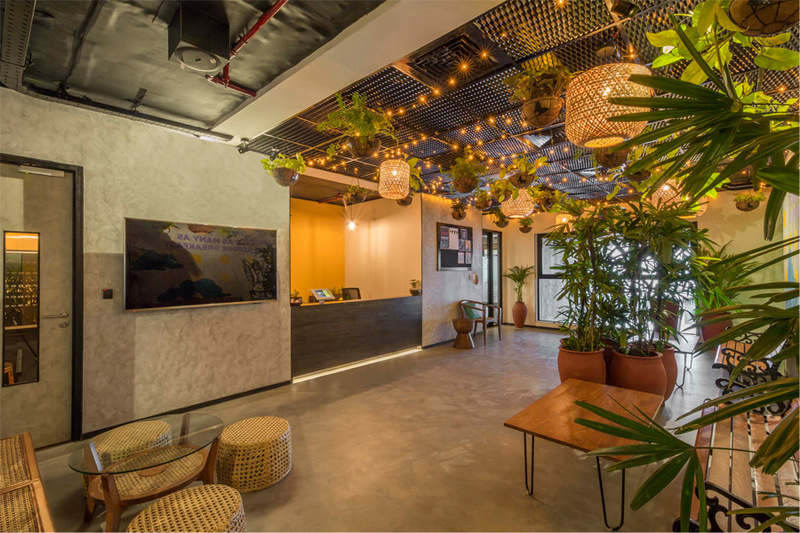 The Hive in Bangalore has a reception area where diffusers have been strategically placed to evoke an instant connect with the greenery that one sees as one walks in. Our tactile senses play a big part in our experience of enjoying nature and being outdoors. Walking barefoot on the beach or running our fingers through our pets’ fur releases serotonin, oxytocin and other feel-good hormones that spark a lasting sense of delight. Bringing together various textures is key here. Surfaces in nature are seldom smooth – the undulations, striations, roughness and softness give natural materials their unique characters. Beautiful grained-wood desks, leather sofas, cushions made of faux fur, suede and raw linen, stone table tops – the options are endless for those looking to mix and match textures. The Li & Fung office in Hong Kong is a good example of this. The slatted wood planters and the grained wood walls, together with the faux leather seats and the light fixtures, bring warmth and well-being into the space. With the sun, clouds, and dynamic wind and air pressure, time spent outdoors is marked by constantly changing temperatures. Compare this to the constant blast of air conditioners in offices, which are often kept at a single setting round the year, making people feel cut off from the outside world. Modern office design incorporates intuitive HVAC units that mimic the weather outside when it’s pleasant and regulate the temperature constantly based on the occupancy of a room. It has operable windows and air vents over individual workstations, which empower employees to make their own space comfortable. In cities where the weather permits it, one can create beautiful open-air nooks for people to work and relax in. For the Adobe office in the cloudy city of Bangalore, we used the often under-utilised rooftop area to create a cosy work corner with wooden seats, greenery all around and bright lights. Just like dynamic temperatures, natural light conditions are always at a flux because of cloud cover and the time of the day. Our natural circadian rhythm has strong ties with this changing light. Being consistently exposed to harsh artificial lighting interrupts this rhythm, causing fatigue, boredom and sleeplessness at night. 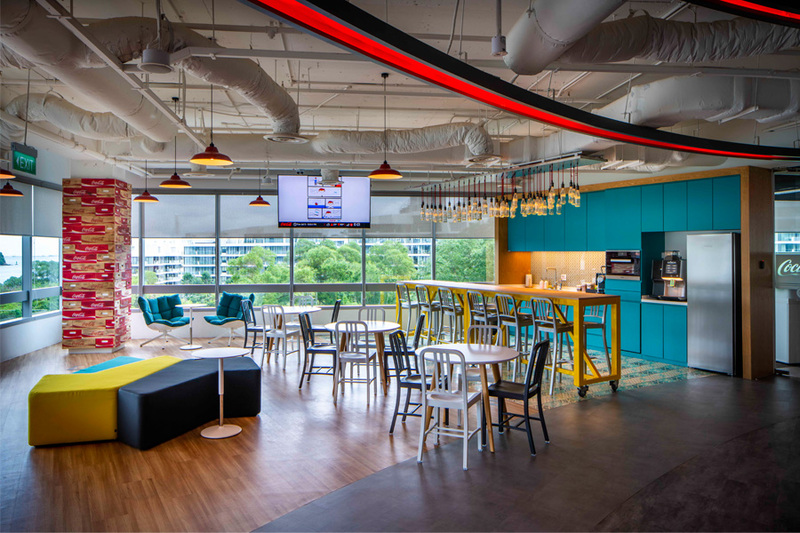 The Coca-Cola office in Singapore demonstrates a great way around this. The pantry has wall-to-wall windows, enabling employees to eat and chat bathed in natural sunlight. This break area thus refreshes people in every possible way. Offering adequate sensory variation is possible in rooms around the core of a building too. Accent lighting, dimmer switches and ceiling panels are great ways to keep the lighting dynamic. The presence of water adds fluidity in terms of sight, sound, touch and light patterns in a space. This has a soothing effect on people and has even been shown to enhance mood and boost self-esteem. Aquariums, fountains and even artwork depicting water bodies can create a sense of natural calm. 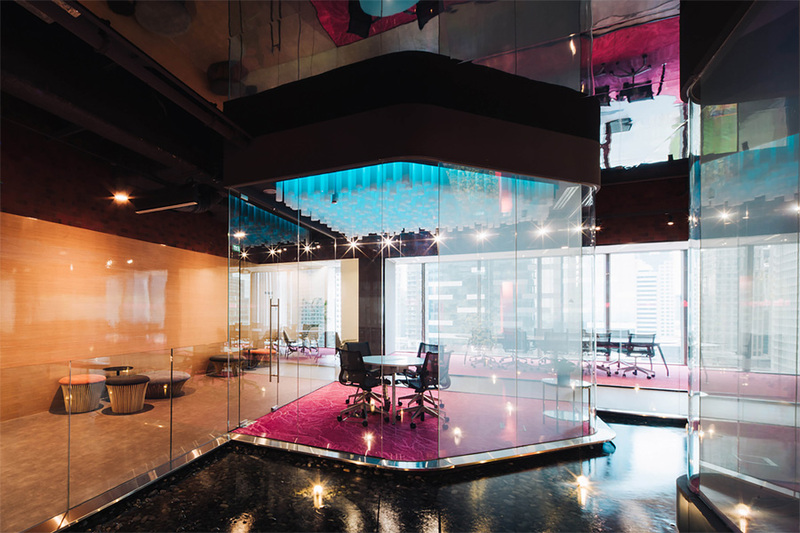 For Prudential’s office, we conceptualised a sunken pool of water, on which glass-walled meeting rooms are built like small islands. Cool and subtly lit, it brings a sense of calm to meetings and brainstorming sessions. In spacious offices, flowing water installations like fountains, water walls and constructed streams are highly recommended, as they stimulate multiple senses at once. However, it is important to create a balanced installation, as extremely high volumes of water flow can be counter-intuitive and disturbing. Excited to leverage the benefits of biophilic design at your workplace? We can help you bring nature indoors. 3 Alvarsson, J., S. Wiens & M. Nilsson (2010). Stress Recovery during Exposure to Nature Sound and Environmental Noise. International Journal of Environmental Research and Public Health, 7 (3), 1036-1046. With over 16 years of relevant project experience in over 40 cities, our clients have become long-term partners and our meetings into conversations about what solutions we can co-create to bring impact to their business and add real value to the bottom line. From macro strategy to micro design ideas, we want to share our insights with our community of clients, partners and employees.